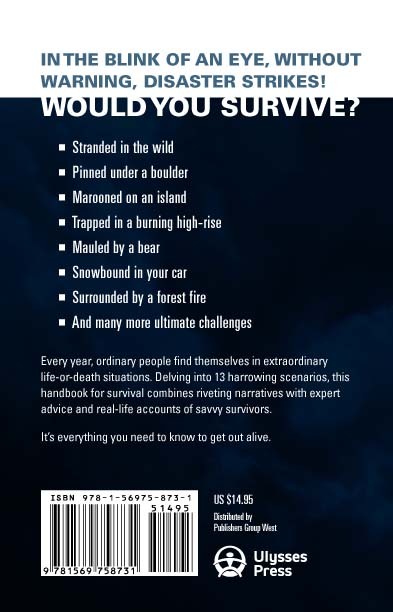 Getting Out Alive: 13 Deadly Scenarios and How Others Survived is now in stock on Amazon and has probably made it's way into a bookstore near you, or will soon. As I mentioned before, I planned to post a few excerpts of material from the book here from time to time - especially sections that are relevant to the focus of this blog. 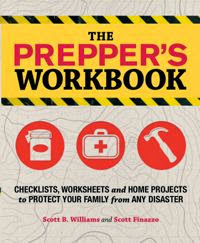 In looking at potential bug out locations across the Lower 48, as I did in my other book, Bug Out: The Complete Plan for Escaping a Catastrophic Disaster Before It's Too Late , it becomes obvious that some of the most remote and largest areas of trackless wilderness are still to be found in the arid West. The deserts and semi-desert environment of these arid regions are a tough place to survive and an easy place to die if you are not knowledgeable or prepared. In Getting Out Alive, I use as an example the case of an entire family of tourists from Germany who wandered off the beaten track in Death Valley in a rented van. They disappeared without a trace, and their skeletons were just found in November, 2009, 13 years after their fatal blunder that came about as a result of their inexperience and underestimation of the harshness of that environment. The desert environment is defined by the scarcity of water, but despite this almost all desert areas are inhabited by plants and animals that require at least some water. Many different forms of life are certain indicators of water in the vicinity. By knowing a bit about the nature of desert plants, insects, birds, reptiles, and mammals, you can often find their hidden sources of life-giving water. It also helps to remember that water flows downhill and naturally seeks the lowest level. In the desert, this may be at the base of hills or underground, especially where there is a large amount of vegetation. Even an apparently dry stream may yield water if you dig in the right place. Anywhere you find damp soil or sand is a good place to dig. In dry streambeds, this will mostly be in the outside of bends under the concave bank of the outer curve, the same part of the stream that would be deepest if it were flowing with surface water. Even if you find only wet mud and no liquid water, the mud can be pressed in a piece of cloth such as your T-shirt to squeeze out precious moisture. Indicators of subsurface water in a dry wash include an abundance of green plants, especially those species that require lots of water such as cattails, cottonwood, or willow trees. Dense clouds of flies swarming over a particular spot usually indicate that water can be found by digging there; this is what enables the nomadic Bedouins of the Sahara to find water in the driest wastelands. The presence of bees is also a certain indicator of water in the vicinity. Bees are rarely found more than three or four miles from fresh water. If you can see which direction they are flying to and from, you can often track them back to the hive and their water supply. Ants are likewise indicators of a water source. The ants and bees may be observed going in and out of a hole in the crotch of a tree—if so, there is probably a hidden reservoir of trapped rainwater there. You can find out by dipping a long piece of grass or a stick in it. Such natural tree reservoirs are common in dry areas, replenished by rain and by dew that condenses on the branches and trickles down. It can be mopped out with bits of cloth tied to a stick or sucked out directly with a hollow straw or reed. Some species of birds, like doves, blackbirds, and other grain and seed eaters, are a reliable indictor of water. They spend the day feeding but at dusk make for a water hole to drink before going to roost. If you see them flying low and swift late in the day, they are flying to water. Carnivorous birds, on the other hand—such as hawks, eagles and owls—get most of the moisture they need from their prey, and are not reliable water indicators. While desert reptiles such as snakes and lizards are largely independent of water other than dew and what they get from their prey, if you see frogs or salamanders there is almost always water nearby. Mammals also need water at regular intervals, though many that are found in the desert can travel long distances between drinks. Animal trails do not always lead to water, but fresh tracks of grazing animals such as deer that lead downhill late in the day will sometimes lead you to water. Some of these water sources used by birds and other animals will be natural rock basins and pockets that trap rainwater and snow melt, sometimes holding it for months afterward. Native Americans such as the Apaches who thrived in some of the driest Southwestern deserts and mountains relied on these natural water basins when hunting and traveling far from streams. They are often located on sandstone ridges, in side canyons, and in narrow clefts in the rock. By carefully studying the terrain for areas of sandstone cut by water runoff you can usually find such hidden water basins. Water can be obtained from certain plants, including dew that can be mopped up from grasses and other low-growing plants in treeless areas. The easiest way it to collect it is to use rags or articles of clothing to sponge it up in the early morning before the sun evaporates it and squeeze it into a container. Other plants contain water in their roots, stems, or leaves. Tree roots near the surface in gullies and other low areas can be pulled up and cut into short lengths to drain out the moisture. Some desert plants such as the barrel cactus contain large amounts of water, but that water is very difficult to get without a good knife and lots of hard work—you need to cut the cactus into sections and mash the pulp to squeeze out the water. Water can also be evaporated from plants by placing leaves and stems in clear plastic “transpiration” bags and putting them in the sun. The water drawn out of the plant material will condense on the inside surface of the plastic and run down to the bottom, where it can be collected. Any type of clear plastic bag can work; the key is sealing it tightly to prevent water loss through evaporation. You can make a solar still from a sheet of clear plastic stretched over a hole about three feet wide by 18 inches deep. Use green plants to line the hole under the plastic to increase the amount of water condensed by the still. Tonight I will be talking with Leon Pantenburg on his Survival Common Sense Radio show between 8:00 and 9:00 PM Central Time. Leon is the author of the popular blog, Survival Common Sense, which is an excellent resource on wilderness survival topics from an outdoorsman with extensive real-life experience. Leon and I have exchanged many emails about survival topics since I began this blog. Tonight we will be talking about my new book, Getting Out Alive: 13 Deadly Scenarios and How Others Survived. as well as related topics. For as long as I can remember, I've been interested in reading such true-life survival stories, especially if they were related to adventures I could picture myself undertaking. As a kid growing up hunting, I eagerly read every account I could get my hands on of hunters getting lost in the woods, attacked by bears or caught out in a blizzard. I read about the adventures of big game hunters in Africa and other exotic places and how they dealt with their dangerous quarry and the many hazards of their environment, like deadly snakes. I was fortunate enough later as an adult to pursue some of the adventures I dreamed about as a kid, and as a result I've ventured into tropical jungles, sailed the ocean on small boats, retraced the routes of mountain men and voyageurs and wandered remote desert canyons. Anyone who deliberately seeks adventure is bound to put themselves in situations that can test their survival skills, and I've been in a few tight spots from time to time. But even those who mostly stay at home can also find themselves in danger when it comes to threats from things like hurricanes, winter storms or even deranged individuals with guns who decide to go on a rampage. The purpose of a book like Getting Out Alive is to show how easy it can be to end up in a life-or-death struggle and provide food for thought about how the reader might learn from the mistakes of others and avoid the same situation. In some cases, the real-life examples given illustrate the absolute best course of action the person or persons involved could have taken, and would be hard to improve upon. In other cases, we can all learn from their errors in judgment and avoid the same end they came to. It's hard to chose when thinking about such scenarios, as there are so many possibilities, but for this book I decided to pick 13 situations, some of which could happen to most anyone, and others that would be more likely to happen to the adventurous traveler. Some of these are scenarios that I could have found myself in, since I have a love for deserts, the sea, jungles, mountains and wild places inhabited by dangerous animals. 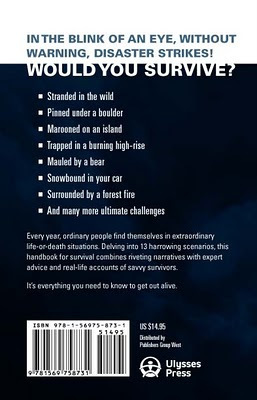 But I think that even if you don't seek out experiences in such places, reading about survival scenarios in different environments can add to your general survival knowledge, as well as make for entertaining reading. Chapter One: Cutting Your Losses - looks at situations in which lone travelers in remote locations have been trapped by a fallen tree or shifting boulder and have had to chose between death and cutting off one of their own limbs to escape. Chapter Two: Abandoned in the Amazon Basin - looks at jungle survival from the perspective of an ecotourist or other traveler in the tropics who ends up alone in a trackless expanse of rainforest and has to get out without outside help, as searchers are unlikely to find anyone in such an environment. Chapter Three: Category 4 - looks at the plight of those caught in the path of a major hurricane who did not evacuate in time, either due to choice or poor planning, and the dangers they will face from the storm surge and wind. Chapter Four: In the Line of Fire - looks at the frightening scenario of being caught in a shopping mall when a deranged shooter opens fire on the crowd, and how others have survived or even stopped the killer before the police arrived. Chapter Five: Modern-Day Castaway - looks at survival techniques for an uninhabited island and how even today there are many such islands where it is possible to get stranded for a long period of time. Chapter Six: Fire on the Mountain - looks at the frightening scenario of getting caught in the path of a raging forest fire in the mountains, and how you could survive if you cannot outrun the flames. Chapter Seven: Snowbound - looks at how easy it is for winter travelers in vehicles to get themselves in a life or death situation by getting caught in blizzard conditions. Chapter Eight: Broke Down in the Desert - looks at the scenario of a traveler getting stranded far from a road while exploring the desert on an off-road vehicle or motorcycle, and how easy it is to disappear without a trace in such places. Chapter Nine: Adrift on the High Seas - looks at the all too common scenario of the unprepared setting out to go fishing with blind faith in the reliability of an outboard engine that fails and leads to an ordeal of sea survival after winds and currents carry them into the open ocean. Chapter Ten: Trapped on the 13th Floor - looks at the urban survival situation of being trapped in a burning hi-rise and how you might increase your chances of escape from such a scenario. Chapter Eleven: Mauled by a Bear - looks at the increasing number of bear attacks in North America and why they happen and how they can be avoided, as well as the best strategies for surviving one. Chapter Twelve: Bracing for Impact - looks at survivable plane crashes (which far exceed the unsurvivable ones) and how you might end up in such a situation and what to do if it happens. Chapter Thirteen: Urban Breakdown - this last chapter looks at urban riots and other scenarios that might require one to bug out of a city in chaos. 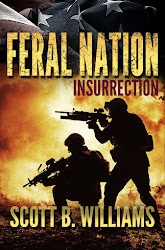 In each of these chapters, there is a fictional narrative written from the second person point of view that puts you in the scenario, interwoven with sidebars that include the real-life survivor's stories and instructional sidebars that provide the information you need to survive the situation. At the end of each chapter is a top ten tips synopsis of techniques to deal with the scenario. So this should give you an idea of what this book is all about. The release date for the print version has been changed by my publisher to March 1, so that should allow plenty of time for copies to make it through the distribution channels to both the online and brick and mortar bookstores. As I mention in my last post, the Kindle version is available right now if you don't want to wait. 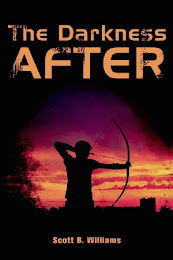 Now that this project is finished I am well into my next book, which as I've mentioned before is a follow up to Bug Out that I think any reader of that book will be interested in. I'll be posting details about the content as soon as the cover design for it is finalized. I received the initial design from the publisher a few days ago and it looks great, with the exception of a minor detail that needs changing. Here's a quick update on the status of my newest book for those of you who might have been looking for it on the scheduled publication date of February 1. The book has been printed, and last week I received a single advance copy from the publisher (photo below). The only delay now is the time it takes for the printed copies to make it through the distribution network - first to online retailers like Amazon and then to the bookstores. I'm happy with the way it came out and hope readers of my other books will find something useful here as well. In the next couple of days I will be posting more about the contents of the book, including some excerpts that you can't find in the free samples online. The printed version of the book will likely be available on Amazon before it shows up anywhere else. It could be any day now, so keep an eye on the book's page here. Long before I started this particular blog I joined the Amazon associates program, just as most bloggers and website owners have, since Amazon offers such a huge selection of books and related products of interest to readers of blogs on most any subject. Few people make big bucks off of their association with this online retail giant, but it does provide some extra dollars every month from purchases made by readers clicking through to the Amazon site to do their shopping. I'm probably like most bloggers in the program in that my earnings go right back to Amazon to fund my own purchases of books and other items I would be buying from them anyway. More interesting the than the monthly earnings reports, however, are the listings of the particular items purchased each month through the program. By scanning these listings I have discovered some good books and sometimes good equipment that my readers are buying that I might not have known about otherwise. 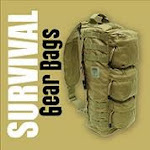 I can also see that sometimes readers take my advice and purchase items I've reviewed here or mentioned in my books, such as a particular machete, water purification system or other important item for the bug out bag. Sometimes these purchases give me an idea for a post, such as this one today, inspired by a reader's purchase of this Maxpedition . 12" x 5" Nalgene Bottle Holder . OD GREEN . These two carrying options make it easy to bring along for practically any activity, and as a result mine has never been far out of reach since I picked it up all those years ago. I've replaced the bottle I carry in it more than once, but this holder has gone with me on offshore sailboat passages, through the jungles of Central America and swamps all over the South, on my motorcycles and bicycles both on road and off-road and in my truck most every day I've owned it whether out on a job or on a pleasure trip. The great thing about it is that the padded insulation built in keeps drinking water cool all day even on the hottest days if I fill it with ice in the morning. The label on the cover says the insulation is Du Pont Thermolite. I think I paid about 12 bucks for it. At the time, it was the first such bottle holder I had seen made specifically to fit a 1-quart Nalgene bottle, but now there are many such holders available for these popular bottles, both insulated and non-insulated. A quick search on Amazon turned up a whole slew of them in a wide price range, with this Maxpedition mentioned above being among the most expensive. If you haven't tried such a holder/carrier for a standard water bottle, I suggest looking into it rather than some sort of canteen. Advantages of these bottles are that they are leak-proof, nearly indestructible, as already mentioned, and they don't impart a plastic taste to the water or other liquids kept in them. I prefer the wide-mouth version as these are handy when you are purifying drinking water or mixing something with it such as powered milk or Gatorade. I usually have three or four of these bottles in my pack depending on where I'm going and the temperature. But one of them is always in this handy carrier close at hand where I can reach it for a quick drink.